Enjoy Our huge inventory of drum tracks for Bands and Artists beginning with A-K. All of our drum tracks are recorded from our guaranteed accurate drum transcriptions in midi (.mid) format. They are delivered to you in a .mid file. Once you receive the file, you can open it with iTunes or any other media player and you can convert it to mp3 or whatever format you wish. You can pay with PayPal or a Credit card. Transactions are completely secure. When you have completed the payment, you should click on the "continue" link on the PayPal payment page. This will lead you to a download page. You will also immediately be sent an email with the download link. Please check your "junk mail" file to be sure this email did not get caught in the filter. 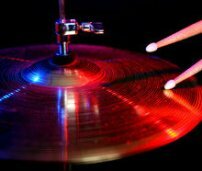 Have fun with these drum tracks! Leave"Almost Free Drum Tracks A-K" and Go To "Almost Free Drum Tracks Home Page"
Leave "Almost Free Drum Tracks A-K" and Go To "Absolutely Free Music Lessons"
We welcome your comments and ideas! Leave a comment in the box below.